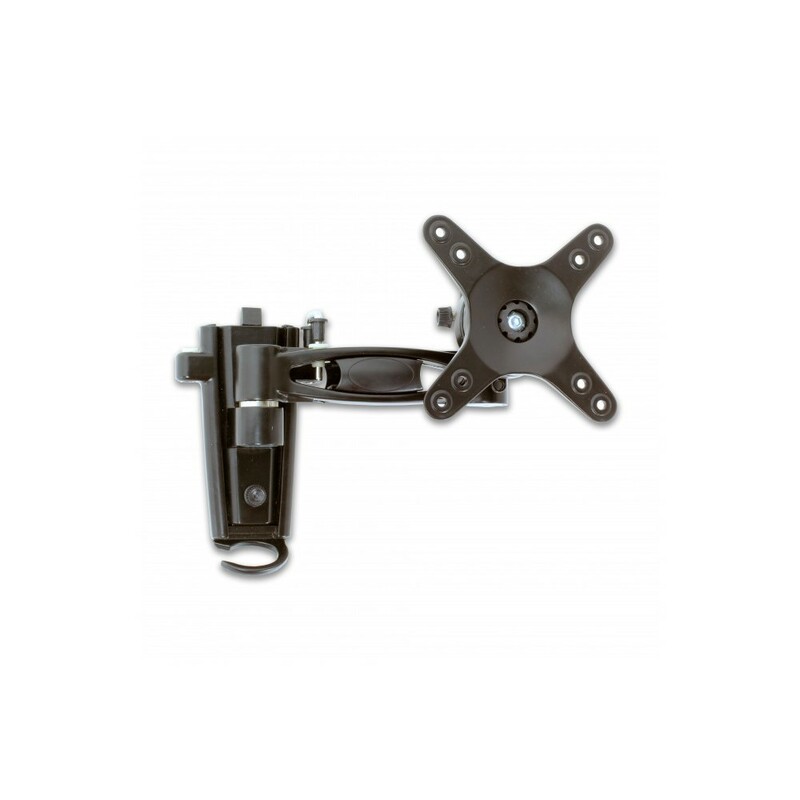 The RV Media Flat Screen TV Mount 1 Arm LCD TV brackets offer you a maximum flexibility for your RV installation. 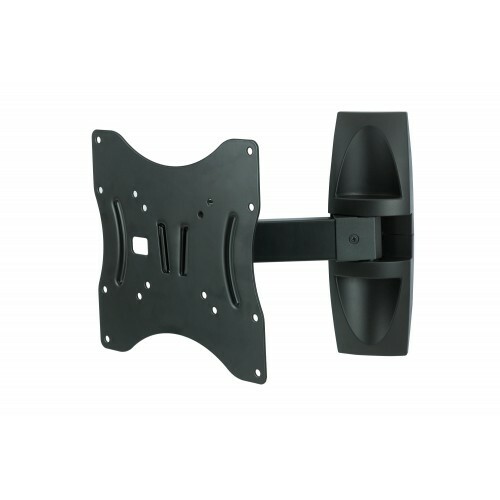 This product features a detachable mounting base system meaning you can remove the ARM & TV from the mounting base and use the TV in another location. 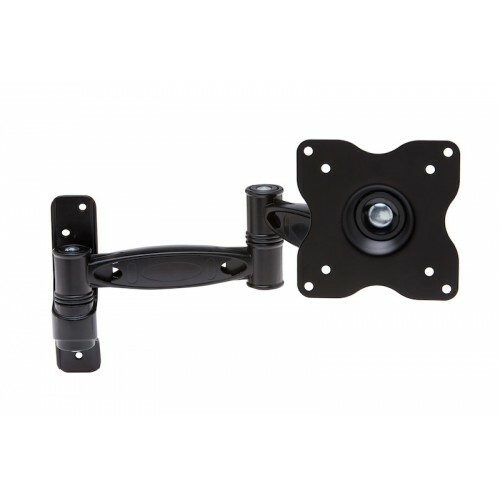 To enable you to do this easily, this product is supplied with a second mounting base. Both mounting bases include a spirit level for easy installation. For quick stowage during transit, the bracket also features a removable TV Mount so you can quickly remove the TV from the bracket. 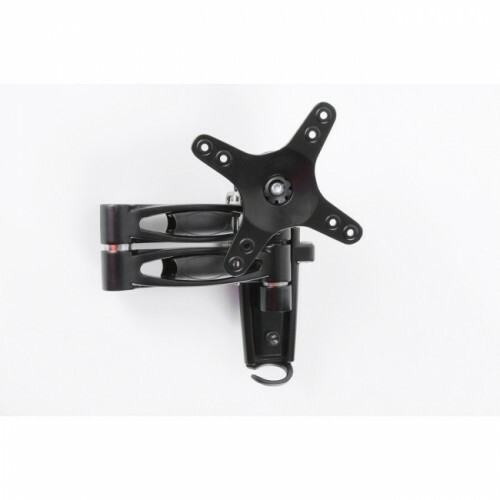 This bracket also is supplied with a locking pin to ensure your bracket is securely stowed during transit. 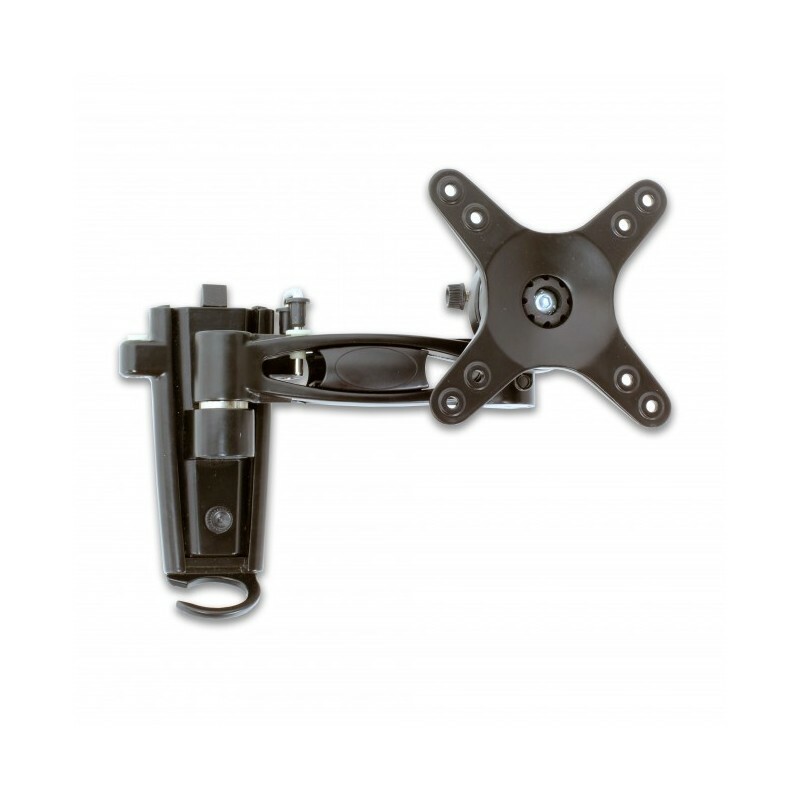 So if you are looking for a wall bracket for your caravan, bus, truck, boat or RV the RV Media Flat Screen TV Mount 1 Arm is a great option. 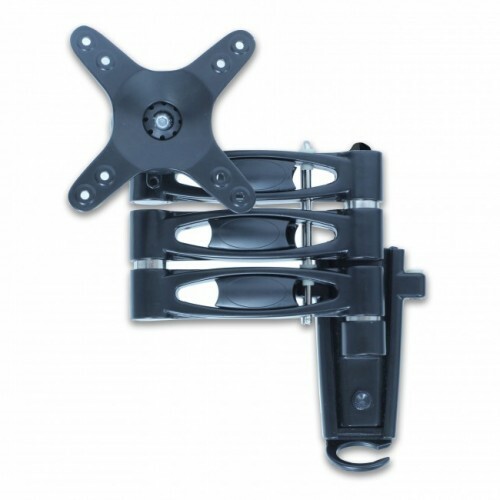 Easy Locking System - Simply fold the bracket up against the wall and slide the locking pin in. The bracket can be locked folded to the left or right. 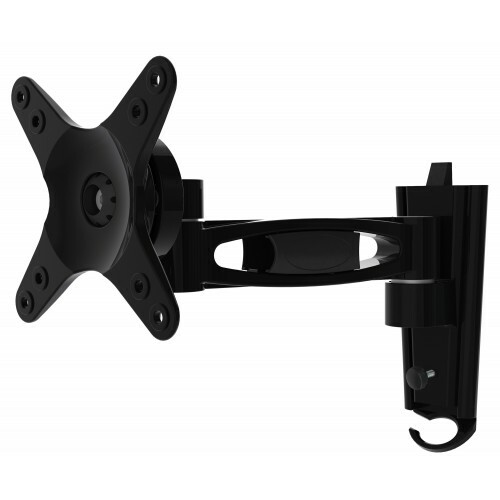 Easy to Operate - Thumb screws are used to secure the bracket to the mounting base and the bracket head to the TV allowing for easy removal. Easy Wire Management - Features removable plastic clips in arm to allow wiring to be neatly connected from the wall plate to the TV.